Canon has announced that it is in the process of developing firmware for the 5D Mark II, which will offer 1080p recording at 24 and 25fps. We won’t get full details on the process or other capabilities until 2010; however, the complaint department has probably been a little high since the release of the EOS 7D, so this news may help curb some of the derogatory remarks from 5D Mark II owners. Canon’s official statement on the firmware development is below. Canon today announces that it is currently developing a firmware update to the EOS 5D Mark II to enable the recording of high definition 1080p video at 24 and 25fps. The decision to develop new firmware to support these features has been taken following feedback received from cinematographers and photographers. Introduced in September 2008, the multi award-winning EOS 5D Mark II was the first DSLR product to offer full frame 1080p HD video recording, opening up a multitude of new creative possibilities for photo journalists, news photographers and amateur filmmakers. Since then, Canon has continued to develop its groundbreaking EOS Movie functionality, firstly with the firmware update to the EOS 5D Mark II that enabled manual exposure control, and more recently by introducing a choice of video recording frame rates with the EOS 7D and EOS 1D MARK IV. At least and at last Canon said something! It’s probably being improved, but it looks like more a marketing strategy than a real technical reason. Would be great, and a smart move too, to include some other fixes/improvements in the same update, considering that this camera has HUGE potential inside. Anyway, thumbs up to Canon for this announcement, and also special thanks to all those people who helped in any way to achieve this. Coming form a videographer/photographer this is really nice to hear! I hope they fix other things with it, but I would really like to be able to be able to record 720p at 60fps as well. That would make my 5D fulfill nearly everything I need! Sounds great. But more than 24P(which you can already convert with software from 30P to 24P), I am more interested in having 60P to allow me to slow down some action. If it allowed a faster frame rate than that for Super Slo Mo, this camera may never be outdone for a very long time. 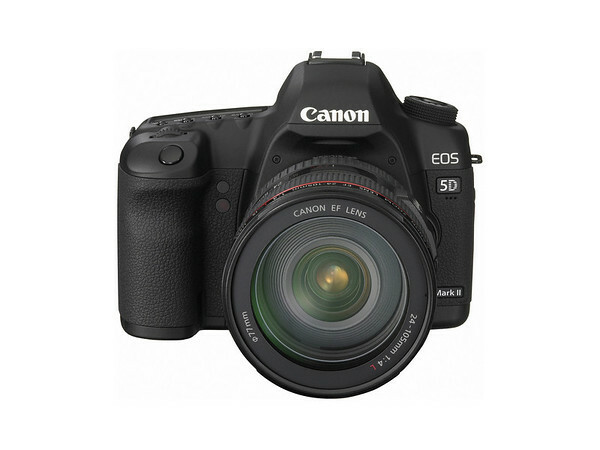 Nice, but does Canon remember that 5D II is camera first of all? I am happy of these video improvements, but when photo improvements? It sounds so strange that a 2.300 euro equipment does not let you set a minimum shutter speed in auto iso mode or set limits up and down for auto ISO… These are features really easy to add through a firmware update and competitors have it. Maybe they’ve put off the release to add 60fps as an option. hmmmm.